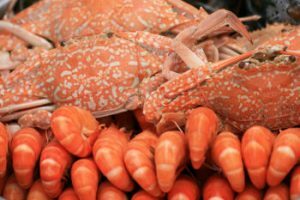 Grand View Research new report forecasts a growth in the global market for the bio-polymer obtained from the shells of crustaceans, chitosan, which is expected to reach a value of nearly $1.5 bn by 2022. Market demand is primarily being driven by abundant raw material availability, low price, and superior product quality, the US insights provider claimed. A rising number of potential applications for chitosan as an eco-friendly packaging option is expected to propel demand over the next six years – although the main areas of growth will be in the textile and agrochemical industries, as oppose to the food and beverage sector. integration with the fishery industries to source raw material is the key factor promoting growth, Grand View Research said. It added that rising consumer awareness regarding the benefits of chitosan, coupled with a demand-supply gap due to low production volumes, especially in North America and Europe, is expected to offer an opportunity for emerging producers.